The Point: As Christians, we cannot separate who we are from what we do. The Love of Money: Nehemiah 5:1-13. “Nehemiah’s Problem [5:1-5]. The builders had given themselves sacrificially to an exacting task, and their main work was gradually coming to an end. Once the huge gates had been set in place [6:1], the assignment would be complete. However, for some time the exhausted workers had been laboring under severe economic difficulties and, with increasing pressure from distressed homes, they could hold out no longer. Both the men and their wives raised a great outcry of complaint against their Jewish brothers  concerning some alarming acts of greed which had resulted in widespread poverty and injustice. Several factors had combined to produce a situation in which many families had been reduced to destitution and despair. We have already seen that, in order to build the wall, the team of builders and laborers had been recruited from a wide area. Many of Judah’s towns and villages supplied men and women for the arduous tasks of clearing rubble, cleaning and re-shaping the large stones, and skillfully replacing them along the walls in forty different sections. To undertake this work, the people had taken a step of faith. They had left their normal trades, crafts and professions, farms and smallholdings, for a period of two months, and the sacrifice was now beginning to cut deeper into home and family life. With the leading bread-winner away from home, many large families were without food. 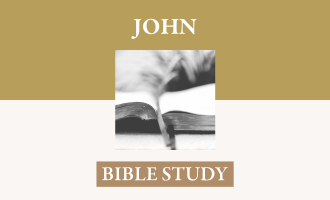 Although in that kind of hand-to-mouth economy eight weeks away from work would inevitably create serious difficulties, Judah’s economic hardship was not simply due to the events of the past couple of months. The region had been through a period of famine and food supplies had become scarce. Greedy merchants used the opportunity to inflate the price of grain, and some people had been compelled to mortgage their fields, vineyards and homes to raise money to feed their hungry families . Moreover, the Persian king’s taxes on their fields and vineyards had been increased to meet rising imperial expenditure, and as a result many people had found it impossible to meet these additional burdens. Mention of the king’s tax in the ears of the governor was sure to gain attention and create concern. Nehemiah would certainly need to support the collection of these dues, normally payable on the amount of the produce obtained from the fields and vineyards . To make matters worse, having parted with their fields, some of these destitute families were in such dire straits financially that they had been compelled to sell some of their family members into slavery. Some Israelite moneylenders made capital out of this economic hardship and increased the anguish by demanding exorbitant interest rates, a practice condemned by God’s Word [Ezek. 18:8,10-13,14-17]. Ezekiel had earlier described the exacting of excessive interest and making unjust gain from your neighbors as one of Jerusalem’s detestable practices [Ezek. 22:2,12]. Yet despite that condemnation and its threatened consequence, here they were in the next century repeating one of the offenses which had led them into exile. To meet the cruel demands of greedy moneylenders, borrowers had been forced either to sell themselves or their sons and daughters to slavery  despite the fact that the Mosaic law expressly prohibited the charging of interest on loans made to fellow-Israelites [Ex. 22:25; Lev. 25:35-37; Deut. 23:19-20; Ps. 15:5]. Such blatant indifference to the teaching of God’s Word was a sin which could not be overlooked. Nehemiah’s Solution [5:6-13]. When Nehemiah heard about such inhumane conduct and widespread poverty, he did three things: he made a considered personal response to the grievance, arranged a specific public occasion to discuss the issue, and produced an irrefutable case for putting the matter right. First, Nehemiah made a balanced personal response to the grievance. On hearing the people’s outcry and these charges of greed, inconsistent conduct, heartless behavior and injustice, Nehemiah became very angry . Yet, once again, we see a leader in perfect control of the situation. Although emotionally stirred by what he had seen and heard, he refuses to act merely on the level of intense anguish: I took counsel with myself . Anger is an appropriate but not a sufficient response. Emotional distress was followed by intellectual reflection which in turn led to practical action. Confronted by a tense, difficult and widespread problem, Nehemiah says he pondered the situation in his mind and, only then, brought charges against the nobles and the officials . His response is at three levels: emotional, intellectual and volitional. The heart is moved, the mind is engaged and the will is motivated. Secondly, Nehemiah arranges a specific public occasion to discuss the issue. Even with the authority of the imperial court behind him, the governor knows that he cannot possibly rectify this grim situation on his own. He sensitively hears the oppressed, boldly addresses the offenders and wisely convenes a meeting. It would not be enough privately to accuse the nobles and officials of alarming wrong. The whole community must be brought together, so that deprived families can voice their complaints directly to these rapacious citizens: I held a great assembly against them . He knew that it would not do merely to obtain a quick verbal agreement with the individual offenders. They could stand arguing with him for hours if their precious money was at stake. They must be brought face to face with the problem and not merely rely on Nehemiah’s information about the heartbreaking poverty of many Judean homes. Convening a large meeting assured deprived people that something was about to be done, and at the same time convinced the avaricious offenders that the governor could not be ignored. The convening of the large meeting frequently played a significant part in the spiritual and moral development of God’s people following Ezra’s return [Ezra 10:5,7-8; Neh. 2:17-18; 8:1-10:39; 13:1-3], and this was certainly the right moment for another one. It is a reminder of the importance and usefulness of a public meeting on crucial humanitarian, social and community issues, to share information, influence public opinion, enlist support and mobilize effective action. Without such united and well-organized propaganda, good intentions can be dissipated and imaginative ideas evaporate into thin air. Thirdly, Nehemiah produced an irrefutable case for putting the matter right. What he had to say at the meeting was crucial, and the governor uses his fine mind to marshal eight facts to present a persuasive and well-integrated argument for rectifying such monstrous injustice. The appeal to conscience [5:8]. The appalling situation was all the more distressing in that, prior to Nehemiah’s return, some impoverished people had been forced to sell themselves or their children as slaves to Gentile homes but, wherever possible, they had been generously brought back  by their fellow-countrymen. Now, without houses and lands and in deeper poverty still, many were compelled to return to slavery, this time in Israelite homes, enslaved by people who belonged to the same community of faith. Surely the offenders’ consciences are disturbed that the abundant generosity of those Israelites who had bought them back from Gentiles had been overshadowed by the appalling greed of their new masters. These Jewish slave-owners were probably guilty of robbing their slaves of their ‘seventh year’ freedom promised by the law of Moses. The introduction of a specific promise to observe the ‘seventh year’ provisions, and to ‘cancel all debts’, in Nehemiah’s later act of covenant renewal [10:31] suggests that the new agreement was regularizing a feature of the Mosaic law which had been marginalized or ignored in Judah. The appeal to love [5:8]. One of the most alarming aspects of this cruelty was that the offenders had ignored the special relationship which every Israelite believer had with others united by the same covenant. These deprived neighbors were their Jewish brothers and they are accused of selling their brothers. That dimension of unique intra-personal relationships was a marked feature of the covenant. They enjoyed a special relationship, not only with God but with one another, and Nehemiah’s repeated use of brothers is meant to confront them with another aspect of their covenant obligation which they had either overlooked or ignored. The laws of Moses about generosity towards debtors and kindness to others repeatedly emphasize the nature of that ‘brotherly’ relationship. The impoverished person is a ‘poor brother’ or a ‘needy brother’. Such people belong to the same family of faith and ought to be loved, not robbed. These brothers who had been condemned to slavery in Israelite homes were worse off than their compatriots in exile. Before returning to their homeland, they did at least have the privilege and security of living together as united families. Now the greed of fellow-Israelites was destroying family unity. Nehemiah’s words opened the eyes of the offenders to their markedly incongruous behavior, touched their consciences, and robbed them of any attempt to justify their conduct: They were silent and could not find a word to say. The appeal to morality [5:9a]. Building on the conscience and compassion argument, Nehemiah then appeals to their moral sensitivity: So I said, “The thing that you are doing is not good.” His exposure was not merely designed to make them feel uncomfortable about their rapacious lifestyles, but to confront them with essential moral obligations in a good and just society. People who want to enjoy the benefits and advantages of community life cannot live selfishly and totally heedless of others. They are not isolated hermits, largely indifferent to the needs of other human beings, but have chosen to live interdependent lives within structured communities, recognizing that such a pattern of living brings companionship, convenience and security. But community life not only offers privileges it also makes demands. The Ten Commandments provided the Israelite people with a pattern of community care as well as spiritual responsibility. By severing the links between slaves and their families, these materialistic citizens were making it impossible for them to ‘honor’ their parents in any meaningful way. They had stolen the freedom of their poverty-stricken employees, and covetousness was certainly at the root of all these social evils. It offended the law of basic human morality and Nehemiah appeals to it, Ought you …? The governor chooses his words with care because he believes that, although greedy, they are capable of moral persuasion. Nehemiah pleads with the offenders on the basis of fundamental ethical principles which are at the root of any secure and well-ordered society. Nehemiah knew that his community’s social future could only be built on the sure foundation of sound ethical standards. That involved the recognition that our fellow-humans are made in the image of God, and that we have a responsibility to determine our moral values from what we know of God’s nature and what we read in God’s Word. The appeal to theology [5:9b]. Ought you not to walk in the fear of our God? Nehemiah now appeals to their knowledge of God’s character. As Israelite people, committed to a covenant relationship with God, do they not want to acknowledge His uniqueness, reverence His holiness, receive His mercy, reflect His love, pursue His will, and obey His Word? In their callous treatment of others these greedy Israelites had failed to display these qualities. The Hebrew people knew that doctrine must not be divorced from life; belief and behavior are the inseparable components of authentic faith. It was basic to the Israelite understanding of God that His children were expected to live like Him, being holy as He is holy, merciful as He is merciful and righteous as He is righteous. Those who failed to do so were not only passively ignoring God’s Word but actively dishonoring His person. The appeal to Scripture [5:9b]. It is possible that Nehemiah may have wanted to remind his contemporaries of a specific passage of Old Testament teaching. The language he uses and the remedy he suggests are strikingly reminiscent of the Lord’s commands regarding the year of Jubilee. The governor pleads with them to abandon this exacting of interest. Return to them this very day their fields, their vineyards, their olive orchards and their houses, and the percentage of money, grain, wine, and oil that you have been exacting from them [10-11]. God had spoken clearly in His Word about their practical responsibility to care for deprived people in local communities, but they had disregarded the message. The appeal to testimony [5:9c]. Moreover, the inconsistent conduct of the offenders not only dishonored God and ignored Scripture; it nullified their witness to the unbelieving world. The offenders must rectify this evident social injustice for only in this way could they prevent the taunts of the nations our enemies. Israel had been entrusted with a unique testimony to the nations. They were not only to declare what God is like but manifest those qualities in their lives. That was the theological and moral basis of the covenant God had made with them, an agreement embodied in the Ten Commandments. It was both a visual as well as a verbal testimony. If their pagan neighbors saw them behaving cruelly towards their own people, how could they possibly be persuaded of the uniqueness and reality of Israel’s distinctive faith? Who would believe that Israel’s God was kind, merciful and compassionate when his worshippers were cruel, merciless and mean towards the people He loves? Inconsistent lifestyles seriously damage the effectiveness of Christian witness. The appeal to experience [5:10]. Nehemiah does not deal with the situation as a detached observer. He is also involved personally in what is happening and tells the offenders, I and my brothers and my servants are lending them money and grain. Here Nehemiah is offering an example to the people. He is saying that he, his brothers and colleagues have loaned money to fellow-Israelites but totally without interest, and he is urging others to do the same. The appeal to commitment [5:11-13]. The governor’s demand that the situation be rectified without delay meets with a prompt response: We will do as you say. He believed in the necessity of specific, immediate, irrevocable and public resolution so he summoned the priests as the religious officials, ordering them to attend a public oath-taking ceremony to ensure that these nobles will do what they had promised. It was not a time for tentative suggestions or vague promises. Once the oaths had been taken, Nehemiah used an act of prophetic symbolism . It was one of those stark visual aids which sometimes accompanied the prophetic word. Their purpose was not merely to illustrate truth and make the prophet’s sayings more memorable. To the eastern mind the sign was inseparable from the event it portrayed. It almost initiated the action it described. Nehemiah was determined that the enormity of this social sin should be recognized for what it was, a blatant act of rebellion against God’s person. Word and people. By what the offenders did (attended the large meeting), said (oaths), saw (Nehemiah’s shaken robe), and heard (all the assembly said “Amen”), they would be held to those firm promises, made in the presence of others, to put these things right without delay. The whole assembly praised the Lord that such a dire situation had been rectified and those who took the oaths did as they had promised.” [Brown, pp. 86-96]. 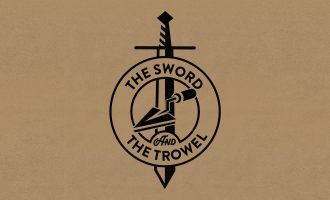 What new problem does Nehemiah need to deal with in this chapter? What factors have caused many families to face destitution and despair? How have their Jewish brothers contributed to their economic difficulties? How does Nehemiah handle this new problem? What three things does he do? 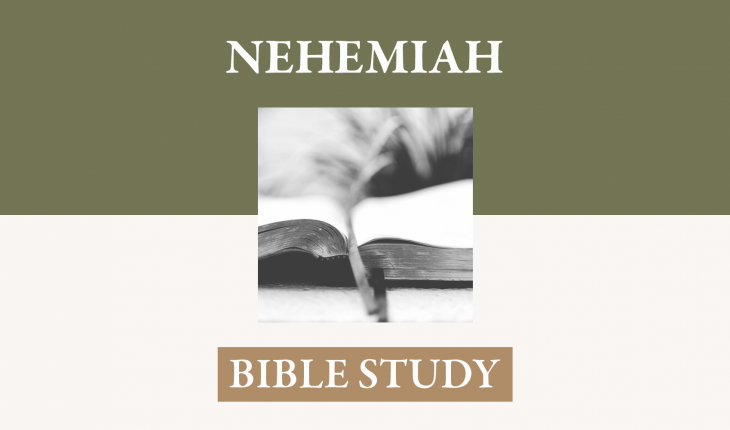 What new insight into Nehemiah’s leadership abilities do you receive in this passage? What eight facts does Nehemiah use to present a persuasive and well-integrated argument to the great assembly of the people? How do the people respond? Ezra, Nehemiah Esther, Mervin Breneman, NAC, B & H Publishing. The Message of Nehemiah, Raymond Brown, Inter Varsity. Ezra & Nehemiah, Derek Thomas, REC, P & R Publishing.